Owner of Hammond Machinery Co. In a city of 100,000 people, the President named only one of them in his closing remarks. Who was Mr. Conger and how did he come to be the stand-alone figure of Waco society to America’s President? Roger Norman Conger was born September 26, 1910 in China Spring but his story began even before that with the coming of the Conger family to central Texas. Texas but alas, the Civil War broke out and their adventure was pushed to the back burner. Norman and his brothers fought in the war and were already Master Masons at Oneida Lodge #337 so that lodge sent with them certificates recognizing their membership in the fraternity in case something sinister should happen to them and a Brother Mason be in a position whereby he could offer support or mercy. 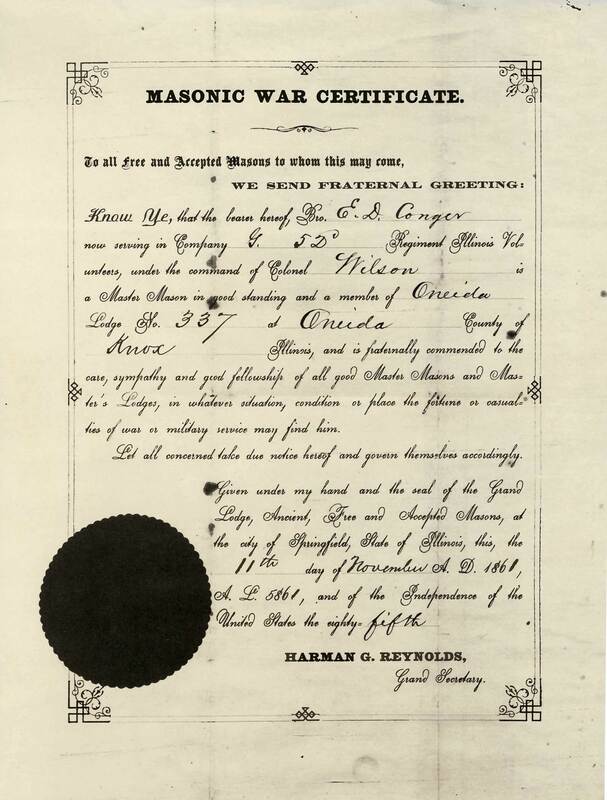 Waco 92 also sent such certificates with soldiers who were members of our lodge during the Civil War, the Spanish American War, and both World Wars. Finally, after the War, a large group of Conger family members and friends finished their plans and came to Waco in 1870. To fund the trip, they held an auction in Illinois and sold most of their belongings as well as their land properties and then hit the trails. After a forty day journey in nineteen carriages and buggies, the Congers crossed the brand new Suspension Bridge into Waco. They spent their first night camping near the present-day intersection of 13th and Barnard Avenue. As soon as he could, Roger’s grandfather purchased the remaining 28,000 acres of the Miguel Rabajo land grant in northern McLennan County for $21,000 in gold. The land stretched from Bosque County all the way down to Bosqueville. He also purchased twenty acres in Waco from Thomas Barron. One thing was very clear: the Congers were here to stay. Roger’s father, Dr. Ralph Conger(also a member of Waco 92), grew up on the massive piece of land Norman had bought and forever fell in love with the countryside. Ralph attended Baylor while Rufus Burleson was still the big man on campus and then he decided to go to medical school at Tulane where he got his MD in 1899. Dr. Conger developed some renown for giving talks and writing many articles after figuring out what caused pellagra disease. He married Margaret Rogers, an extremely well-read schoolteacher who was a proud graduate of Oklahoma City High School’s first class. After several years practicing medicine in Waco, Ralph moved his office and family in 1901 to the fledgling community of China Spring where he lived and worked out of a large country home. 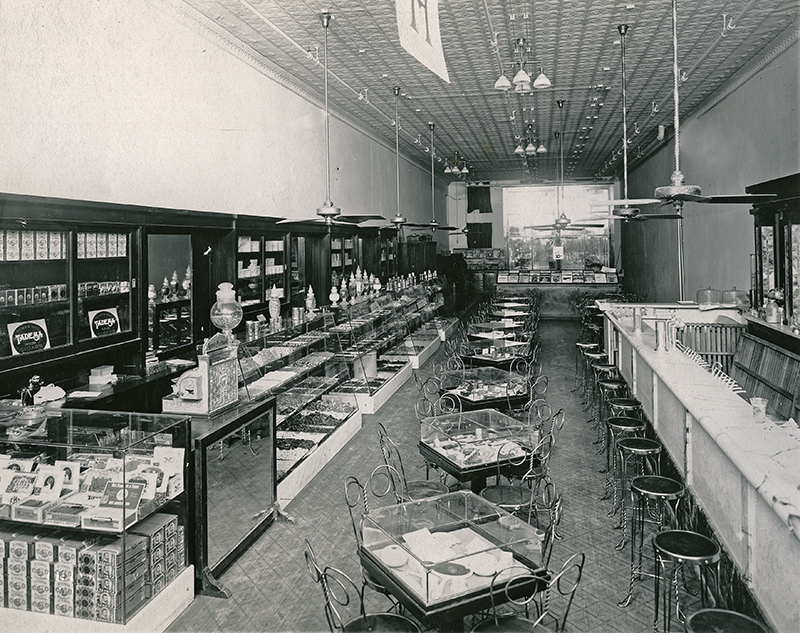 Dr. Conger rode into Waco every two weeks in order to purchase medical supplies at Behren’s Drug Store. He was effectively the first full time doctor available to China Spring residents. Baby Roger was held in the arms of his aunt as the whole family gathered around to stand by or sit in Dr. Conger’s brand new Ford Model T in front of the family home in China Spring. They were posing for a family photo for a family friend who was still relatively new to Waco but quickly growing in reputation: Fred Gildersleeve. Gildersleeve was also a member of Waco Lodge 92 and over the years, he made many trips to China Spring for making family photos with the Conger clan. Margaret home-schooled the children initially and did such a good job that Roger was able to skip a couple of grades when he entered public school at the age of seven. Those years as his mother’s pupil, together with hearing his father’s stories of the journey from Illinois to Texas and the early days of Waco, inspired Roger to study history for the rest of his life. Whenever possible, Roger’s parents took him and his sister to Waco and they made a lot of memories visiting the Sanger Brothers department store and playing around the Square. The efforts of Roger’s mother led to the construction of a new school building for China Spring kids around 1915. On one particular day in 1920, Roger and his friends piled into a neighbor’s Model T en route to town just in time to watch what was left of China Spring’s two-block business district burn to the ground. From the third to seventh grade, Roger was schooled at China Spring ISD where Waco 92’s Brother Heber Beard was principal. When Roger began going into Waco for high school, Brother Beard simultaneously became the new superintendent at the schools there. On the first day of March in 1922, Roger’s father, Dr. Ralph Conger, died suddenly of heart complications. The family was sitting at the kitchen table for lunch around noon when Dr. Conger suddenly slumped and then stumbled into the next room as a result of severe chest pain. It passed and Mrs. Conger told the children their father would be fine but that they should go outside and play so he could rest and recover. Little Roger went over to the Talbert household where he was playing with friends and looking out the window at snow when he saw the Conger family’s maid and cook dash out from his home next door to the another neighbor’s house to get help. The boy immediately knew what had happened. His father had died. Roger was only twelve years old and while the entire China Spring community was devastated, noone was more affected than the good doctor’s son. Roger later recalled how he idolized his busy father and believed that his childhood effectively ended on that Spring day. The Congers had moved to the fledgling town of China Spring twenty years earlier after Dr. Conger went to great lengths to persuade Mrs. Conger. Now that the doctor was passed, she made up her mind that it would be easier to care for the children in the city so they purchased a home at 2510 North 20th street in Waco and moved there in August of 1922 after selling their old house and acreage in China Spring. Roger Conger forever credited the strong and persevering nature of his mother for the successful transition of him and his sister to a life without their father. Recognizing the dire needs of the Congers to support themselves after the loss of their father, Waco 92’s Brother Frank Ragsdale offered Mrs. Conger a job at Franklin Insurance Company where she became a successful saleswoman. There had been no insurance policy on Dr. Conger so Mrs. Conger had an intimate appreciation for the necessity of such things and impressed that upon potential clients. After a couple years and having successfully paid off the new house in Waco, Mrs. Conger moved on to a new job as secretary of the McLennan County Tuberculosis Association. This led to a lifelong career and she was well known with the MCTA as well as the local Red Cross efforts. In 1925, she served as president of the Business and Professional Womens’ Club of Waco. In 1950, she again served in that role. This was a testament to her strength and ability to adapt to the changing times that the members of the Club elected her two times a quarter century apart. Roger started at Waco High in September of 1922 and also took his first job when he was just twelve as a milk delivery boy. He would ride on the side of a Model T, grab a new bottle of milk from the crate in back, jump off and dash to the porch of customers to switch out the new bottles with old ones and return to the slowly rolling Model T until the next customer’s house. The milk run began around 5:00 am and finished about 6:30 am just in time for Roger to make it to Waco High downtown. Roger’s second job was cutting ice and mounting it onto customers’ vehicles at Cupp’s Ice Station near the old TCU campus. He later recalled how hard it was to lift the 100-pound blocks of ice that country folks drove into town to pick up. After that, he was hired by Crippen & Sons’ grocery delivery company as a driver when he was still just fourteen years old. This was how Roger learned the layout of Waco’s whole town in 1924. His job was to wait at the Crippen grocery store and customers would call in their grocery lists. He would take the list and fill a cart from the shelves accordingly, load it into a carriage and then deliver it inside the homes of the customers, with as many as thirty customers receiving groceries on one trip. Pay was two dollars per day. “Mr. Paul Tyson, the great immortal football coach of Waco High, was a great friend of mine. He taught biology or I guess you could call it teach… We loafed through biology class because Mr. Tyson was… a quizzical, humorous man and he liked to propound far-out to us in biology. He would say, ‘Did you ever see a black greyhound chase a tame wildcat up a dead live oak?’ And such questions like that would disarm a pupil sitting at the front of the room expecting a serious question. Mr. Tyson would always tell the students several times during the year that the scientific name of the platypus was the ornithohynchus paradoxus and promised ten extra points at every final exam if anyone could correctly spell it. No one every claimed that award. Mr. Tyson was a great teacher, a great inspirer. As a member of the High-Y Club, Roger spent lots of his teenage years boxing and wrestling with classmates at the YMCA on the corner of 6th and Washington. In remembering which teachers greatly influenced him, Roger placed his English teacher at the top: Edward Douglas Johnson, a WWI veteran who inspired Roger to “want to learn” and aimed to draw out the latent potential in all of his students. Roger also credited his freshman history teacher, Jefferson D. Bragg, for requiring him to present a history report in front of the class and encouraging Roger’s desire to study American history. Bragg later acquired his doctorate at Baylor and built a tremendous legacy at the university as an educator. At seventeen and having graduated from Waco High in 1926, Roger was hired by Cooper Grocery Company to work in its warehouse. After just one year, he was promoted to a desk job accepting calls and filling orders. His mother was initially disappointed as she had hoped to see him go to college and become a professor but when his pay was raised to an impressive $150 per month, she relented. In his new capacity at the Cooper Grocery Company, Roger Conger witnessed the evolution of the firm from the leadership of M.A. Cooper to Jesse Milam. He also witnessed the advent of the supermarket store setup whereby customers came in and got their own groceries instead of the traditional wholesale delivery method. During this time, Conger befriended Madison Cooper Jr. and together they read Hemingway, James Branch Cabell, et al. They had been dating for some time with him working in Dallas and her still living in Waco. The frequent trips to court her became more and more of a budget issue as finances tightened nationwide. He felt lucky that she agreed to marry him on those grounds and the ceremony was held at Columbus Avenue Baptist Church on October 16, 1933. The reception was at the N.J. Lacy home on 14th and Jefferson Avenue. Then, the couple rode off in a 1932 sedan bound for their new apartment in Highland Park of Dallas. Their first child, Roger Lacy Conger, was born in 1934 and they had a daughter, Claire, in 1938. All the while, Brother Conger continued to develop his career with the Southern Cotton Oil Company and grew his territory as a sales manager. As a hobby, Conger got involved with a local archaeological society led by Forrest Kirkland which exposed Conger to discovery and conservation of Texas Indian rock carvings and drawings. 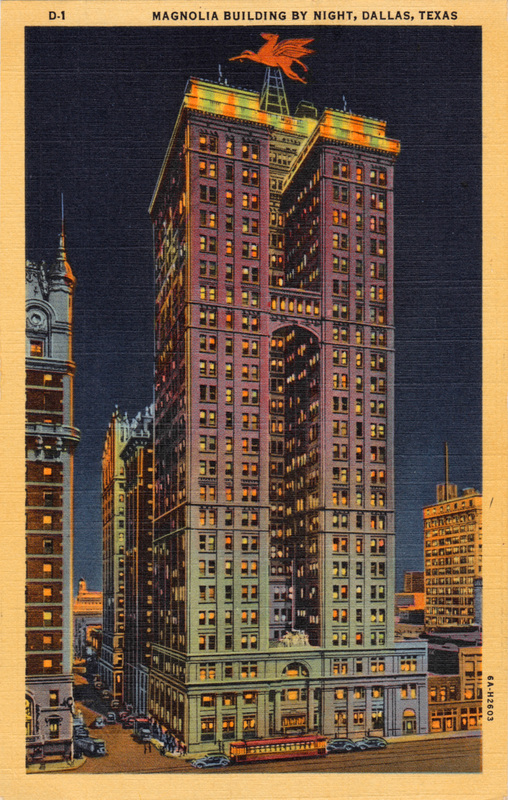 Roger Conger was also a major influence in 1936 on the successful efforts to make Dallas the headquarters for the state’s centennial celebration. Franklin D. Roosevelt attended the event and all kinds of performances were given. Dozens of Dallas’ most famous buildings were built in preparation. This began a great era in Dallas growth and served as the catalyst for it becoming a premiere city of Texas as it is today. On December 7, 1941, Roger Conger was out hunting quail in east Texas with his friend Willie Els when Pearl Harbor was attacked. This led to many Americans completely re-evaluating how they were spending their lives and careers and such was the case for Conger. Soon, he had a conversation with his father-in-law, William Hammond(a member of JH Gurley Lodge #337), who had owned a laundry appliance business in Waco for many years. The two determined that the business could contract with the U.S. Military and this would lead to such growth that it would require someone with Conger’s business experience to help develop its new identity. In March of 1942, Roger left his long-time position with the Southern Cotton Oil Company and came to Waco to work with Hammond Laundry Machinery which was then located in a building at 413 Webster Avenue. 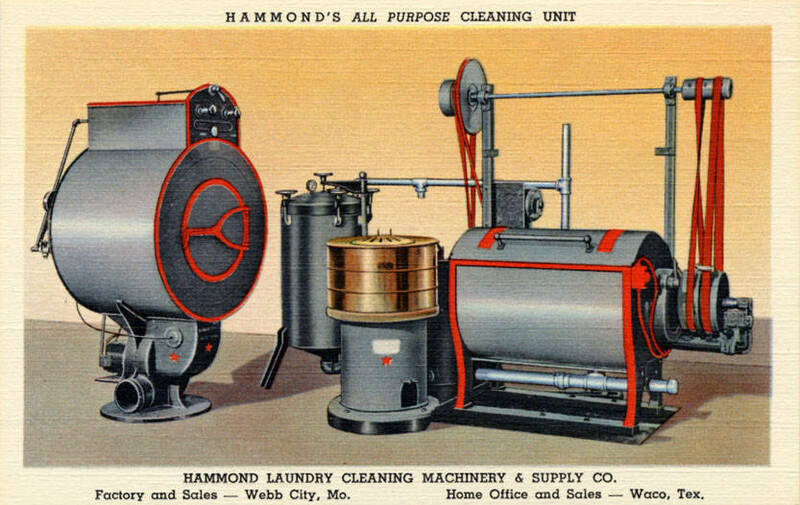 At Hammond Laundry Cleaning-Machinery Co., Roger oversaw the transition towards manufacturing of laundry machines for navy ships and other military needs. He began traveling all over the country to personally put pressure on the manufacturers of various parts for the machines in order to expedite the process and get hundreds of machines delivered to the Army and Navy on a regular basis. Conger’s work led to Hammond Laundry machines being installed in Navy ships and submarines and at Army camps all over the country. He proudly could claim, “We supplied every drier the U.S. Navy purchased during World War II.” He also saw to it that the company became involved in the manufacturing of a variety of metal and electronic parts for Air Force planes. At the close of the War, the Hammond Machine Co. had become one of Waco’s largest businesses and required more space so Conger brokered a deal in which he gave the old Webster Avenue location as a down payment in return for a building at 220 South Second Street which had been used during the war to produce wings for Mustang fighter planes. This one still bears the Hammond name and is today known as the Holiday Hammond Lofts. Conger decided on the basement for housing the Hammond Machine shop and so they installed enormous ramps to make it possible. Offices and displays were placed on the first floor. The second and third floors consisted of assembly lines which proved to be so efficient that the Company again needed more space just four years later. Conger arranged a very friendly deal in purchasing the adjacent Clifton building and the factory was expanded into it by blasting holes through the joining walls. By 1953, there was no denying that Hammond Industries was a nation-leading corporation, mostly thanks to the management of Roger Conger. They were shipping products such as dry-cleaning machines as far as the Taj Mahal Hotel in India, various places in the Soviet Union, and Conger himself facilitated sales throughout Central and South America. That was how he met a lifelong friend, Rodrigo G. Gonzalez, a Peruvian living in Monterrey who began distributing Hammond machinery throughout Latin America. Roger’s son, Roger Lacy Conger, entered the Air Force and was honorably discharged in 1959. It had long been decided by his father and grandfather that he would take on the Hammond Industries Company into a third generation and so it was that he became his father’s understudy in January of 1960. The dreams of his father to pass the company to his son were never realized, however. During a sales trip to Germany in the summer of 1960, the younger Conger tragically died in an autobahn accident. All desire to continue the company was drained out of Roger Conger and he and Hammond sold the company one year later. The elder Roger’s father could not have known the impact he had on his young son when he told the boy about how he had arrived in Texas in a Conger family caravan at the age of seven in 1870. This article previously mentions that trip. The details of it fascinated Roger for the remainder of his life. For example, he delighted in telling about how his grandfather, N.H. Conger, had a false panel in the bottom of his horse carriage inside which was all the money he had made by selling the family belongings before leaving Illinois. Another major factor in young Roger’s attraction to history was also mentioned already in this article. One of his teachers at Waco High, J.D. Bragg, inspired Roger when he required the boy to present a term paper in front of the class. That interaction between teacher and pupil proved significant for the telling of Waco’s story. Bragg went on to be a prominent professor of history at Baylor and Roger established himself as the expert on Waco history. In regards to the techniques Conger applied in historical research and presentation, he credited the Texas State Historical Association and the Southwestern Historical Quarterly as sources from which he developed an understanding for how history could be studied and for how to share it with the public. 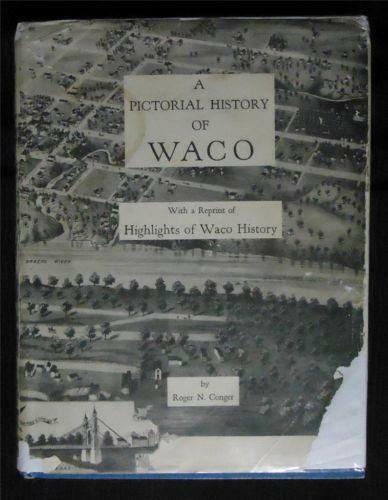 So it was, in 1945, that Roger Conger began the project that has become arguably the most widely purchased volume of Waco history and photographs, “A Pictorial History of Waco” but it wouldn’t be published until many years later. Two men, Judge William Sleeper and Judge Allan Sanford, encouraged Roger to do the project and served as primary sources of early Waco stories for him. Both men had long wished to write Waco histories but never found the time and so demanded that Roger carry through with the idea. Judge Sleeper told Conger stories such as sitting down by the river as a boy and watching the construction of the Suspension Bridge. Judge Sanford told him many stories about William Cowper Brann and that whole saga of Waco lore. Other categories of Conger’s collections: items from the World War I Camp Macarthur Era of Waco(later donated to the Waco Mclennan County Library), Fred Gildersleeve photos and negatives(mostly given to the Lee Lockwood Library and Museum and the Texas Collection at Baylor), Waco Masonic History(given to Waco Lodge 92), and more. As mentioned above, Roger first met Fred Gildersleeve in 1911 before he could even remember when Gildy came out to China Spring to make a family photo for the Congers. They were life-long friends of the cross-generational type that is made possible in masonic lodges. Conger was fascinated as a boy by Gildy’s role in capturing a golden era of Waco history through the lens. When, as a man, Roger moved back to Waco in the 1940s, he began to attend First Presbyterian Church where he ran into the old photographer and rekindled their friendship with weekly visits. Then, in the 1950s, Gildy’s health began to decline and Roger more or less became a caretaker for him. Many days, Roger would show up with a new pack of smokes and some beer for Gildy. Then, he would cut the old man’s hair and give him a shave. All the while, Roger soaked in the photographer’s endless stories about Waco history and took note of the man’s tremendous pride in having broken the record for the largest photo print ever made so many years ago. Roger also took note of how Gildy died broken-hearted about his ex-wife having destroyed thousands of his photo negatives showing Waco from the 1940s and 50s during their bitter divorce. Roger’s reputation as a historian truly exploded in the 1950s. 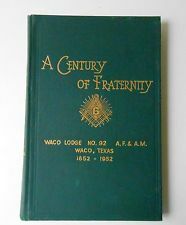 He published works on the history of Waco, the First Presbyterian Church, and in 1952, he published one on our history, “A Century of Fraternity.” This book was written during the late 1940s at the peak of business success for Roger’s Hammond Laundry endeavors. He was so busy that he had to write “A Century of Fraternity” by “midnight oil” at nighttime. We still have his original transcripts and collection of photos, items, and information he acquired for the book. More about its creation can be found at the bottom of this article in the Masonic section. local history project for the rest of his life. That was how he met Dr. Hamorszky, another local historian, and the two began to travel around McLennan County to photograph and write about historical points of interest, many of which had long been forgotten. 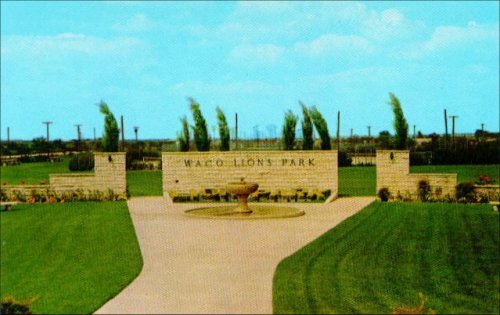 This evolved until 1953 when Conger was invited to the home of Margaret Megarity on Colcord Avenue where he joined her and a group of others in forming the Waco Heritage Society. He was immediately elected as its first president. In the 1950 and 1960s, Conger played an integral role with the Junior League of Waco and the Heritage Society in selecting historic homes to preserve. 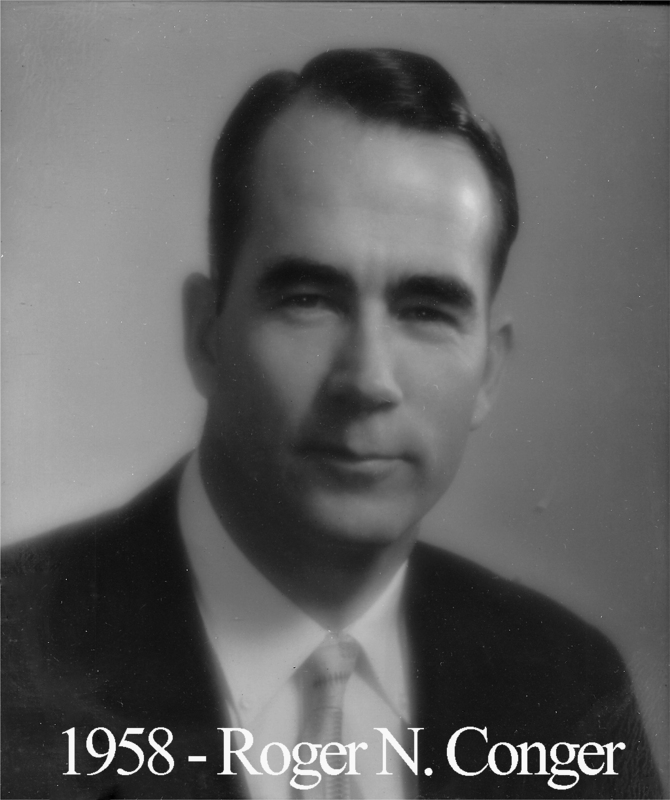 Amid the work Conger was performing in the pursuit of central Texas historical preservation, he found time to be active in all areas of civic life and this culminated with his election as mayor of Waco in 1964. County Commission of Alcoholism. 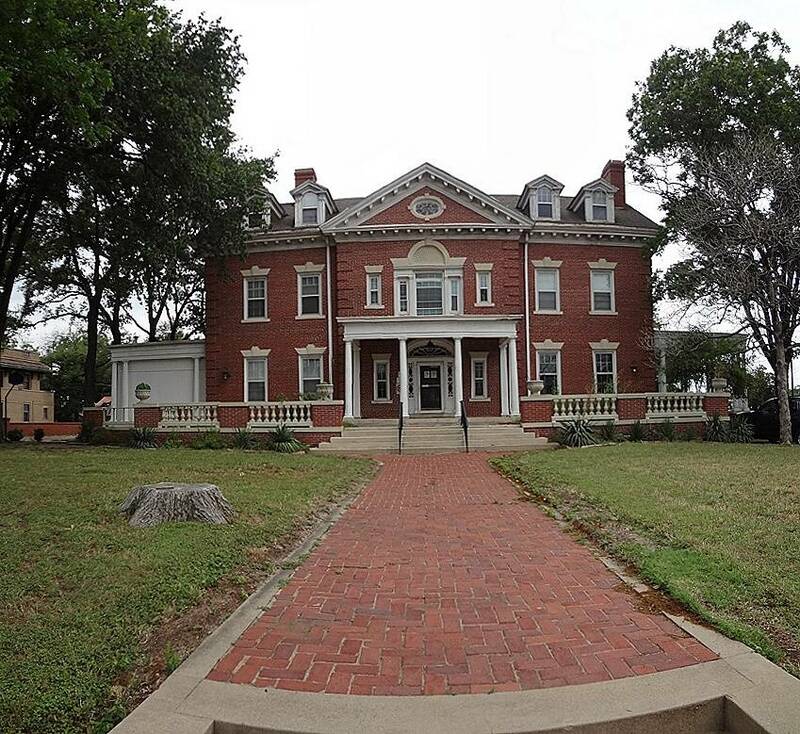 With him leading the way, the MCCA purchased a home at 14th and Columbus and turned it into a halfway house for recovering alcholics in the AA program. Of these efforts, Roger was always very proud and he was often quick to tell people that he thought Alcoholics Anonymous was one of the most important unsung organizations doing good work in America. Sadly, the beautiful Colonial Revival style home they had worked to acquire eventually was demolished in 2012 when the owners of the neighboring Migel House purchased it to expand that property’s grounds. Upon moving back home to Waco in 1942, the Congers became active members of the First Presbyterian Church of Waco. Roger was elected to the board of deacons there in 1945 and two years later, he was ordained a ruling elder. He continued in that capacity for several decades. All along, he regularly taught at Sunday School. was president in 1949. He served as the official delegate to the Lions’ Club International Convention in New York City in the same year. As president of the local chapter, Roger emceed a performance of the “Black Hills Passion Play” by the infamous Josef Meier at Waco Hall to raise fhunds for projects and this ultimately led to what became Lions’ Park. Continuing his presence city-wide, Roger was elected to the city commission in 1961 and then mayor in 1964. He served as a city commissioner alongside his friend and fellow 33rd degree mason, Aaron Goldstein, who had served on the commission already for thirty-plus years and was able to help Roger settle into the position comfortably. It was under Roger’s leadership that the original Lake Waco was expanded to a much larger area with the Army Corps of Engineers. 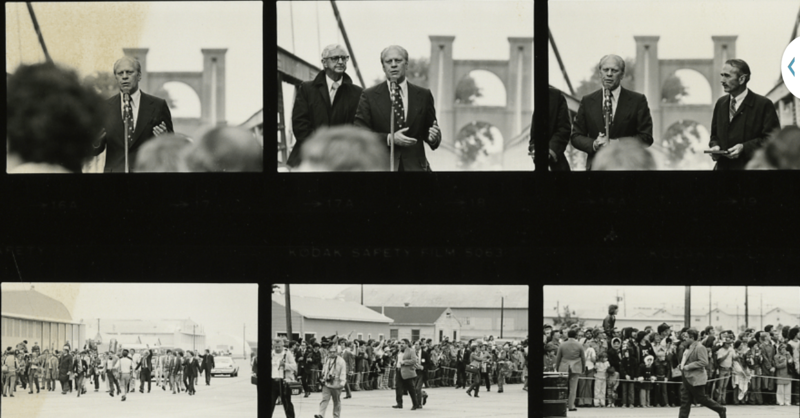 By 1971, thoughts about America’s Bicentennial Anniversary were growing and Roger was appointed as Chairman of the Bicentennial Commission in Waco. Through his visionary leadership, Waco received status as an officially state-sanctioned and federally recognized “Bicentennial Community” before other larger cities such as Dallas and Houston. Roger and the other commission members devised a plan centered around the Suspension Bridge whereby the bridge would be renovated and a new park, Indian Springs Park, would be created on both sides of the river with trails for hiking and biking and a concrete amphitheater for small outdoor performances. Only the Bridge plans were completed in time for 1976 but the park plans were set in motion and eventually were accomplished. As for the Bridge, the unsightly Interurban Bridge was finally removed in order to allow full appreciation of the Suspension Bridge. In the early 60s, Roger had acquired the complete minutes, transaction logs, and other items from the long-gone Waco Bridge Company which was formed by members of Waco 92 and saw to the construction of the Suspension Bridge. This allowed Roger the information needed to publish a complete history of the bridge. 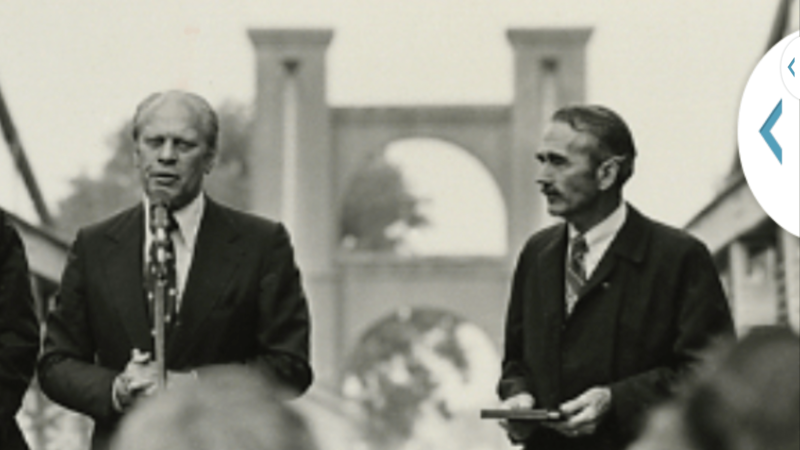 All of that work came to a grand conclusion when Conger and the city of Waco successfully hosted President Gerald Ford in April of ’76 for a speech at the Bridge and a groundbreaking ceremony to start construction for Indian Springs Park. This(the Bridge and park) served as the major project of the Bicentennial Commission but a couple hundred other smaller projects were also performed under Conger’s supervision. Some of these projects were completed in tandem with other Waco organizations such as the Public Library, Baylor University, and the Waco Bar Association. Finally, the year 1976 arrived and all of the years of work culminated with a major event put on by Conger and the Bicentennial Commission at Baylor Stadium on July 3. 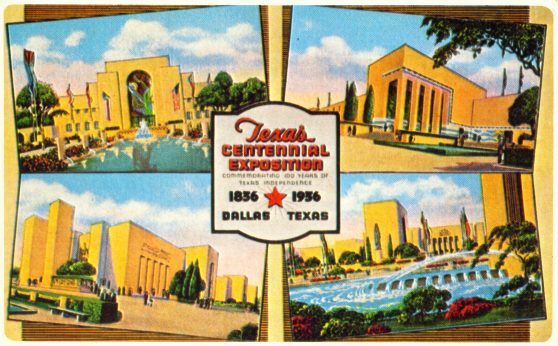 It happened that the Masons of Texas had already reserved the stadium for use of a statewide installation of officers and its own masonic celebration of America’s Bicentennial so Roger went to sit down with Lee Lockwood and together, they worked out a plan that allowed the Masons to have their ceremonies earlier in the day and then the Waco Bicentennial Commission could take over from there. Conger credited Ruben Santos with getting various Baylor departments on board with the celebration. At 5:00 pm on July 3, 1976, people began to pour into Baylor Stadium to see such spectacles as the largest pipe organ in the world, rehearsed dancers and singers, various acts one might find at a circus and more. To kick things off, the Masons of Texas performed an inception ceremony. 35,000 people were on hand to give witness. In the middle of the celebration, rain started to fall and Roger feared that people would leave before the grand finale but few did. In fact, he was surprised to see that almost everyone remained even if they were holding jackets over their heads to try to keep dry. Just as the rain really let loose, the fireworks began. It was said to have been ten minutes long and the most incredible display of fireworks central Texas had ever seen to date. As soon as it ended, the rain became torrential and everyone disappeared as quickly as possible. and his book “A Pictorial History of Waco” was reprinted and it came to be that seemingly every house in Waco had a copy on its coffee table. He continued his efforts in history and civic matters. When I(Robert Marshall) was growing up, I would look through this book while she told me her stories about going to school at the old Waco High, meeting my great-grandfather in the Purple Cow Cafe at the Raleigh Hotel and riding horses with the aforementioned Lee Lockwood’s daughter. My own desire to study and preserve Waco’s history was cultivated by Conger’s masterpiece book. The same can be said for many people today who know anything about Waco’s past. In 1994, Brother Conger was diagnosed with Lou Gehrig’s Disease and it ultimately took his life in 1996. He was remembered far and wide for his tremendous efforts as an amateur historian, having made a greater impact on the preservation of regional history than many of those with formal training. His legacy can be felt by visiting virtually any of Waco’s museums but especially homes cared for by the Historic Waco Foundation or the Texas Ranger Hall of Fame & Museum. Both organizations were largely influenced by Conger from their inception. 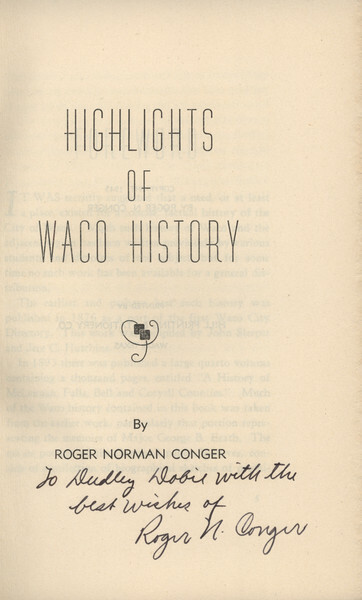 Many of Conger’s interviews with early Wacoans can be heard on tape where he left them at the Texas Collection at Baylor University. In the 1920s, Roger Conger was active in the Demolays. His father and grandfather had been active masons. In 1929, he served as Master Councilor of the Waco Chapter of Demolays. For reasons unknown even to Roger, he delayed becoming a mason until 1942 when he sought initiation through his friend, Jim Ed Crews. Brother Crews conferred the Master’s Degree on Brother Conger that year. Conger was very busy with his business life at that time, as the information above reveals, but in the back of his mind, he immediately began to foster hopes of working his way through the chairs and becoming master of Waco Lodge 92. His affinity for local history naturally inclined him to want such a role in the oldest Waco organization of any kind. He had always been fascinated by the fact that such an institution preceded all things in Waco, even churches in a city where churches seemed to be the start of all things. A few years passed before Conger got his chance. In 1945, the men at 92 were gearing up for their centennial anniversary in 1952. Conger had already gained some notoriety around town for his knowledge of local history so the lodge officers approached him to see if he would want to develop a history of the lodge as part of the celebration. Initially, he turned them down and told them they should ask John Maxwell to do it because Brother Maxwell was particularly knowledgeable of regional masonic history and deserving, having already been past master and Grand Orator. However, Maxwell declined due to declining health so Roger ultimately accepted the project. So, in 1952, Roger Conger’s A Century of Fraternity was published. 2,500 copies were printed and 1,600 of them immediately went to the 1,600 living members of the lodge, free of charge. At the huge centennial celebration, Roger was honored for his work and he was asked to enter the line-up so that he could begin the seven year process leading to service as Worshipful Master of the lodge. As Roger recalled it, the seven year process was necessary because the memory work along the way was said to consist of 32,000 words. Along with working his way through the line-up at Waco 92, Roger became active in the Scottish Rite. At that time, Waco did not have its own Scottish Rite Consistory so he was a member in Dallas and a member of the Waco Scottish Rite Club. Such was his dedication to the Scottish Rite, that he was honored as a Knight Commander of the Court of Honor in 1955. Four years later, he helped acquire the charter for Waco Scottish Rite Consistory and he became an active participant on its degree team. Finally, in 1969, the Grand Council in Washington D.C. honored Brother Conger with the 33rd Degree.